Liz Claiborne Inc. is the first company founded by a woman to become a Fortune 500 company. 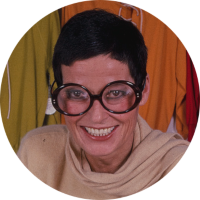 Liz Claiborne is the first woman to become the chair and CEO of a Fortune 500 company. 1 New York Times (New York, New York), 27 JUN 2007, Obituary for Liz Claiborne, Ancestry.com (Online Database). 2 New York, Passenger Lists, 1820-1957, S.S. Excambion, 24 JAN 1937 to 04 FEB 1937, Ancestry.com (Online Database). 3 Wikipedia, "Liz Claiborne (fashion designer)", (accessed 11/07/2014).